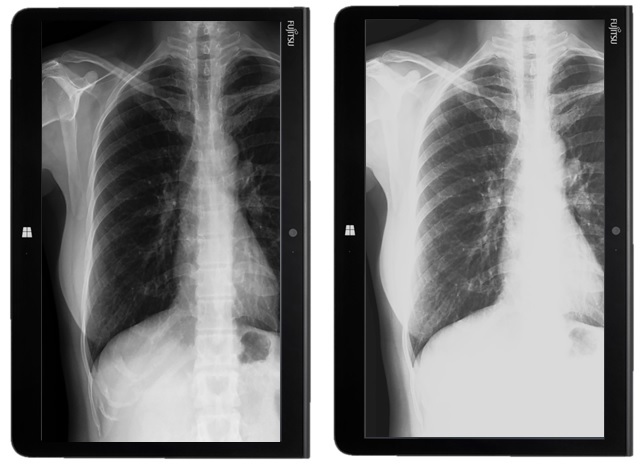 M-mode Utility makes picture quality refinements used for reviewing radiology images (e.g. x-rays in hospitals or private practices). The M-mode Utility allows users to switch comfortably between a brilliant color setting and an accurate grayscale display. M-mode selects a factory default gamma curve which is optimized for the DICOM grayscale standard, and thus makes even the finest grayscale variations visible. Fujitsu mobile PCs paired with the M-Mode Utility can be used in many medical review usage scenarios. Please note, the M-mode Utility is suitable for medical review applications, but is not certified for medical diagnostic scenarios. The displayed images are not guaranteed compliant with DICOM Part 14. M-mode is not intended for diagnostic purposes. 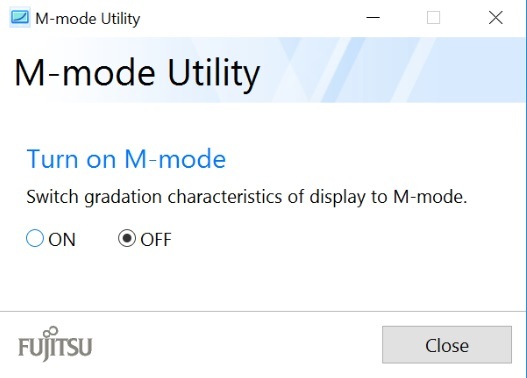 M-mode supports the computer's built-in display only. Do not change the screen brightness while using M-mode. Use this utility to extract downloaded drivers. *Original: This is the original software/driver released with the computer. It is current and recommended for use. 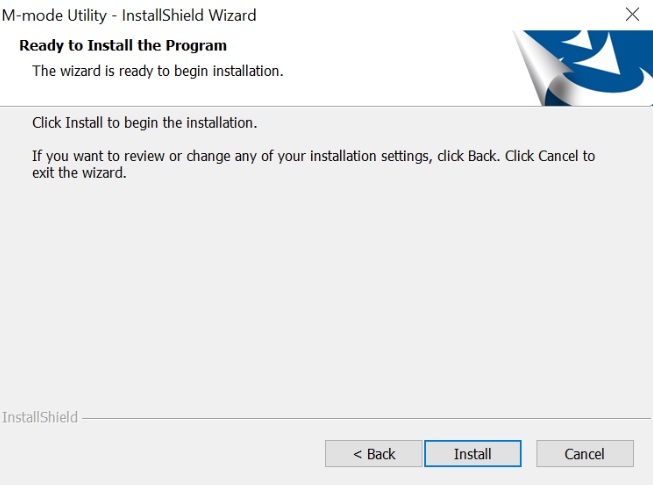 *Updated: This software/driver is newer then the original version. It replaces the original software and is recommended for use. *Archive: This software/driver has been replaced with an updated version. It is no longer current. Fujitsu does not provide support for the installation or use of Archive software/driver downloads. 1. Open the folder and double click the "setup" icon. 1. 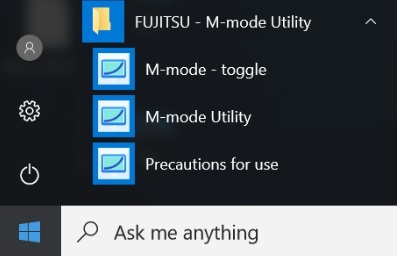 Click "M-mode Utility" under "FUJITSU - M-mode Utility" from Windows Start Menu. 2. 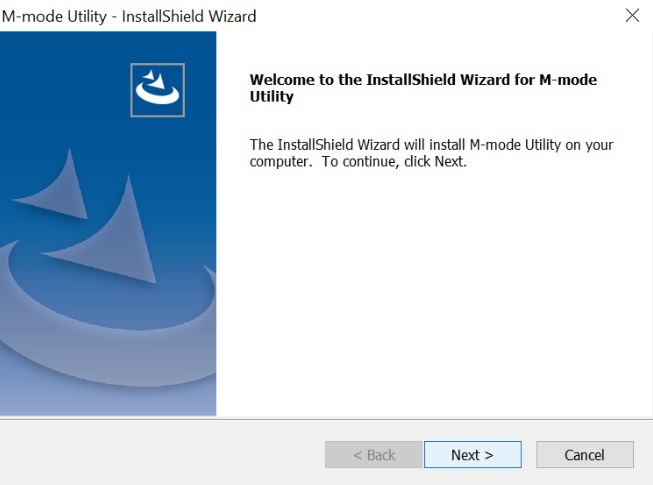 Click "ON" to turn on M-mode at M-mode Utility Window. Or drag and drop [M-mode - toggle] into the Windows taskbar to create a M-mode Utility shortcut. Then click the shortcut icon to turn on M-mode. 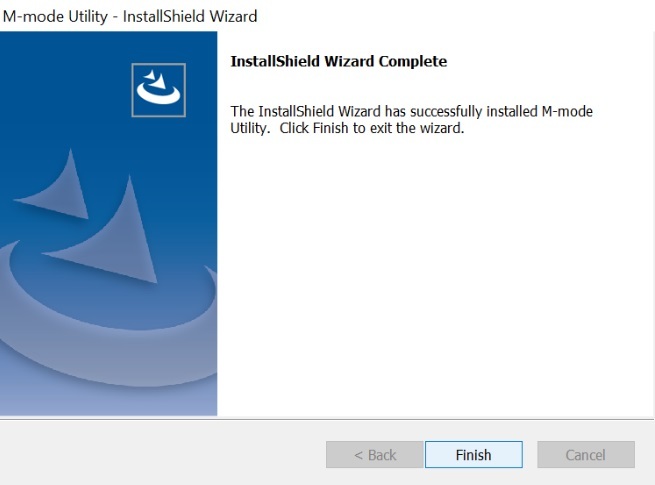 Close the M-mode Utility Window before Windows Log Off. When the M-mode utility is turned on, any changes made to power plan settings (e.g. Brightness or Power-saving Mode) will revert back to original settings when M-mode is turned off. Notes: This software can be used only for systems with Glare FHD LCD. If your system has Anti-Glare LCD, please use M-mode Utility for Anti-Glare LCD. Notes: This software can be used only for systems with Anti-Glare FHD LCD. If your system has Glare LCD, please use M-mode Utility for Glare LCD.